KEN YUSZKUS/Staff photo. 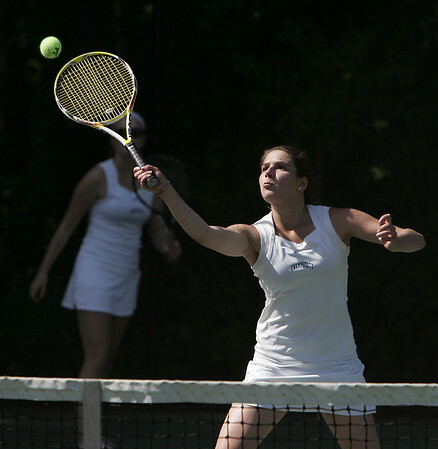 Swampscott doubles player Jessica Zolott reaches at the Austin Prep at Swampscott girls tennis state tournament match. 6/2/14.